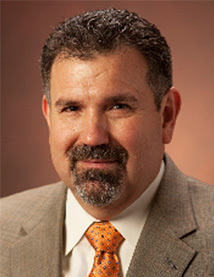 Saúl N. Ramirez, Jr. is Executive Director of the National Association of Housing and Redevelopment Officials. Mr. Ramirez brings a great deal of housing and community development experience to NAHRO. He came to NAHRO from Greystone and Co., a leading financial services and trading company located in New York City that provides debt and equity financing for the development, rehabilitation, acquisition, and refinancing of multifamily and economic development projects. His primary duty at the Bethesda, Maryland, office was as a mortgage banker. He served as HUD's Deputy Secretary from 1998 to January 2001. He also served as HUD's Assistant Secretary of Community Planning and Development in 1997-1998. Prior to his tenure at HUD, he was Mayor of the City of Laredo, Texas, from 1990 to 1997. He used housing and community development programs as tools to encourage the major growth and development of Laredo. He was a city council member in Laredo from 1982 to 1990. Mr. Ramirez has 20 years' experience as an insurance industry executive in Texas and served as a Board member of the Texas Municipal League Inter-Government Risk Pool with over $300 million in assets.